This miffy baby spoon of Zilverstad is the ultimate baby gift. There is room for the birth date and the birth time can be engraved on the clock. The name can be engraved on the spoon. In this way the baby spoon becomes a unique and permanent memory of the birth of a new `citizen of the world`! 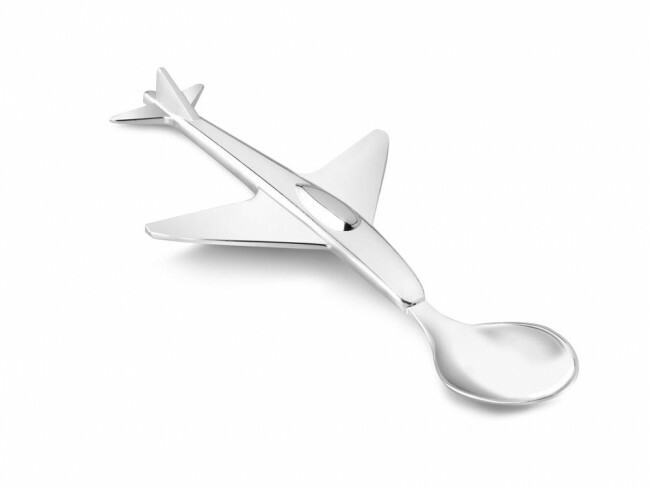 Children's spoon in the shape of an aeroplane. Eating has never been this much fun! You're reviewing: Children's spoon Airplane sp./lacq.